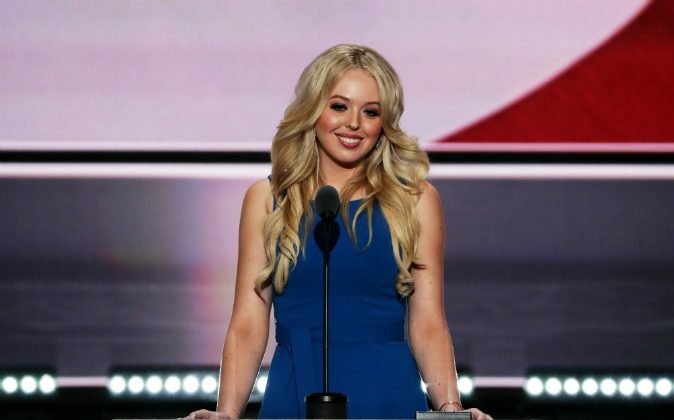 Tiffany Trump, the youngest daughter of President-elect Donald Trump, was spotted touring Harvard Law School on Tuesday, according to reports. “We were sitting in the lounge area in the student center, and I saw a tall blond girl walking through and I recognized her,” said one student, who was quoted by Politico. They noticed the 23-year-old among a gaggle of Secret Service officers. She was spotted entering the library. Trump graduated in the spring from the University of Pennsylvania, majoring in urban studies and sociology. “She’s got all A’s at Penn, so we’re proud of her,” the president-elect told People in 2014. As reported by Politico, several students corroborated accounts of seeing her on the campus. Earlier this year, she posted a picture of her studying for the LSAT, the Law School Admission Test, which is a half-day standardized test used in the admission process for law school programs in primarily the United States and Canada. Legal blog Above the Law reported that she took the test on Saturday. Trump is the only child of Donald Trump and actress Marla Maples, who was married to the president-elect for six years—from 1993 until 1999. Harvard University didn’t comment on the visit. Meanwhile, a spokesperson for the Trump Organization, also declined to comment, according to Politico.